PESCANTE POMPA OLIO ( SUCCHIERUOLA ) COMPLETO DI VITI. ( FORD CITROEN PEUGEOT VOLVO ). PRODOTTO " ORIGINALE PEUGEOT CITROEN ". ANNO DI IMMATRICOLAZIONE. POTENZA IN KW. CODICE MOTORE. PER LA COMPATIBILITA' DEL RICAMBIO VERIFICA SUL LIBRETTO . 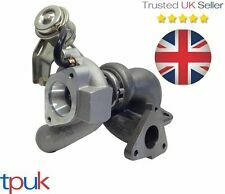 TUBO INGRESSO OLIO TURBO PER PEUGEOT CITREON FORD. CODICE ORIGINALE : 0379.68. ANNO DI IMMATRICOLAZIONE. POTENZA IN KW. CODICE MOTORE. PER LA COMPATIBILITA' DEL RICAMBIO VERIFICA SUL LIBRETTO 080 872 44 17. 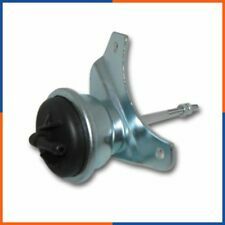 MANICOTTO ASPIRAZIONE ARIA TURBINA FORD FIESTA PEUGEOT 107 206 1007 BIPPER. Creato con il software gestionale Ready Pro. VALVOLA A TURBINA. FORD MONDEO III Mk3 (2004- ). Motore: 1,6 TDCi 109 KM (DV6TED4). FORD FIESTA (2004- ). 1,6 TDCi 109 KM (DV6TED4). 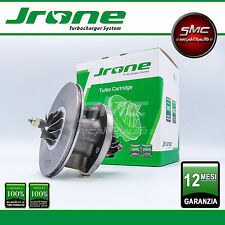 Motore: 1,6 TDCi 90 KM (DV6UTED4). FORD FOCUS II (2004- ). FORD FOCUS C-MAX (2004- ). VALVOLA A TURBINA. Motore: 1,6 TDCi 109 KM (DV6TED4). FORD FIESTA (2004- ). FORD MONDEO III Mk3 (2004- ). 1,6 TDCi 109 KM (DV6TED4). 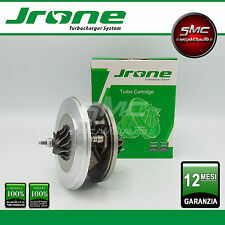 Motore: 1,6 TDCi 90 KM (DV6UTED4). Motore: 1,6 DI 109 KM (DV6TED4. 1,6 TDCi 90 KM (DV6UTED4). ). 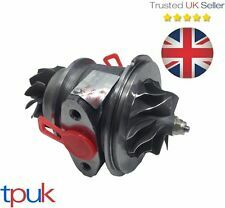 Tubo di pressione olio turbina motore per Ford Fiesta con motore 1.4 Tdci Duratorq dal 10/2005 al 12/2012 e Ford Fusion con motore 1.4 Tdci Duratorq dal 10/2005 al 6/2012. 1202486 - 1219455 - 1386564 - 1450265 - 1590756 - 1386565 - 1450264 - 1404780 - 2S6Q6K679AE - 1479851 - 2S6Q6K679AB - 2S6Q6K679AC - 1319613 - 2S6Q6K679AE. 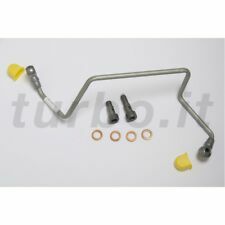 TUBO INGRESSO OLIO TURBO PER FORD FIAT SCUDO PEUGEOT EXPERT. CON CORRIERE ESPRESSO GLS. ANNO DI IMMATRICOLAZIONE. POTENZA IN KW. CODICE MOTORE. PER LA COMPATIBILITA' DEL RICAMBIO VERIFICA SUL LIBRETTO . CITROËN: 037942, FORD: 1219454, 2S6Q6K677AB. DIRITTO DI RECESSO. Produttore Motore: Ford. via valletta, 45 Fasano (BR). 080.4426005 | 338.3960024 | 347.8982400. Kuga (2008 - 2012). Focus (2004 - 2011). Focus Cabriolet (2006 - 2010). DIRITTO DI RECESSO. Il vecchio turbocompressore deve essere completo di tutto le sue parti! CITROEN, FORD, PEUGEOT. 080.4426005 | 338.3960024 | 347.8982400. Removed from a 2008 Ford Focus ST225 we currently have in for breaking. We are ST-Breaker - a specialist breaker, not a scrap yard, we only break Ford ST's & Mk1 Focus RS's based in Guildford, Surrey. Dai un'occhiata alle mie inserzioni ! Cordiali salutiCIRETTOMOTO. NON TROVASTE CIO' CHE VI OCCORRE, CONTATTATECI E PROVVEDEREMO A PROCURARVI IL RICAMBIO CHE CERCATE. Categoria prodotto: Organi motore/Tubo separatore olio. Essendo il ricambio usato potrebbe presentare leggeri segni di usura. Anno: 2007. - COD contrassegno (Solo in italia - Selezionabile solo da PC). 1x Ladeluftschlauch. Vorgeformter, Hitze- und Ölbestandiger, Gewebeverstärkter Gummischlauch. FORD MONDEO IV Turnier (BA7) 2.2 TDCi Kombi 07.10 - 01.15 147 200 2179. FORD MONDEO IV (BA7) 2.2 TDCi Schrägheck 07.10 - 01.15 147 200 2179. Reference OE/OEM Number 2S6Q9C623AA. Reference OE/OEM Number 1434. Manufacturer Part Number 1434. F6, 1148084, 1670802, 2S6Q-9C623-AA. 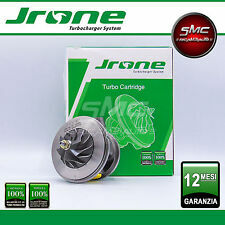 TUBO PER FILTRO DELL'ARIA PEUGEOT / CITROEN / FORD / TOYOTA. CITROEN C1 (2005-2014) - Hatchback. MK7 2006 ON. Turbos fail for a reason, usually air or oil related. Main Bearings. Front Bumpers. Oil Coolers & Radiators. Front Bumper Grilles. Bumper Trims. Bumper Blanks. 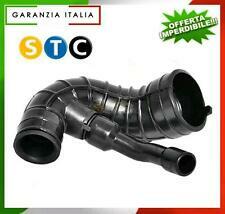 Oggetto: manicotto dla collettore aspirazione al intercooler. Motore: 2,0 TDCI - 136 HP. Partita IVA: PL9462639422. Oggetti in vendita. WE REQUIRE THE ACTUATOR NUMBER FROM YOUR OLD UNIT, IT WILL BEGIN WITH THE LETTER G. Main Bearings. 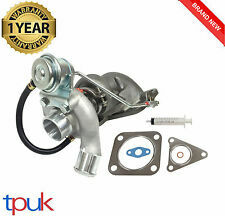 TURBO FORD NUMBER 6C1Q 6K682E. FOLLOWED BY TWO NUMBERS. FOR GARETT PART NUMBER 752610. Bumper Blanks. OEM REF: 1402564, 037655. PEUGEOT 206 1.6 HDİ 110 / 2004 ONWARDS. PEUGEOT 207 1.6 HDİ 110 / 2006 ONWARDS. PEUGEOT 207 SW 1.6 HDİ 110 / 2007 to 2012. PEUGEOT 307 1. 6 HDİ 110 / 2004 ONWARDS. PEUGEOT 308 1.6 HDİ 110 / 2007 ONWARDS. A PAIR OF (2X)FORD TURBO HOSE PIPE. FORD FOCUS DAW,DBW HATCHBACK 1999-2004. FORD FOCUS C-MAX MPV 2003-2007. FORD FIESTA MK IV MK V HATCHBACK 1995-2002. 24 MONTHS WARRANTY ! 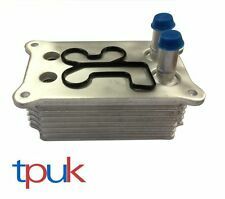 INTERCOOLER AVA VW4248. Codice Prodotto: VW4248. Entrata-Ø, mm 50. MK6 2000 - 2006. Turbos fail for a reason, usually air or oil related. Main Bearings. Front Bumpers. 1C1Q6K682EA - 1C1Q6K682EB - 1S7Q6K682AF - 1S7Q6K682AE - 1S7Q6K682AD - 2C1Q6K682BA. Suits part numbers. Oggetto: valvola a turbina. Partita IVA: PL9462639422. Condizione: L’oggetto è NUOVO, in condizioni ideali – mai usato, non danneggiato e non usurato. 1x Ladeluftschlauch mit eingebauten Schraubschellen. Vorgeformter, Hitze- und Ölbestandiger, Gewebeverstärkter Gummischlauch. FORD C-MAX II (DXA/CB7, DXA/CEU) 1.6 TDCi Großraumlimousine 12.10 95 1560 8566-AUI. 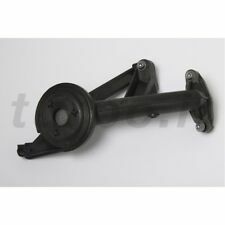 Part number... 72290325. GALAXY MK2 2000-2006. GALAXY MK2 - is being broken for parts. Ford GALAXY MK 2 - 1.9 TDI 6SPEED MANUAL 2005 160.059 miles. we will be more than happy to help. 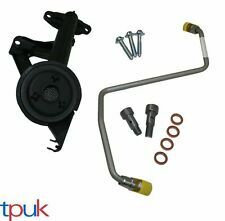 Removed from a 2009 Ford Focus RS Mk2 we currently have in for breaking. We are ST-Breaker - a specialist breaker, not a scrap yard, we only break Ford ST's & Mk1 Focus RS's based in Guildford, Surrey.